The U.S. Department of Transportation’s Hazardous Waste Class 1 Explosives category contains a wide range of potential threats. Many substances within this category are designed to cause an explosion. So, if not properly controlled, these “dangerous goods” can present a hazard to human health and safety, either from a minor blast hazard or a mass explosion hazard. Other substances carry inherent explosive properties due to their chemical makeup. Regardless of the type of explosive, the danger they present requires special handling and disposal. The Hazardous Waste Class 1 Explosives category is divided into six divisions. These goods are sorted based on the predominate hazard of the dangerous substance. This hazard is caused by a substance’s chemical and physical properties. The lower the division number, the higher the hazard the substance presents. If the right circumstances present, explosives can react violently. This can cause catastrophic damage to surroundings through high temperatures, speeds and pressures. Division 1.1 Explosives are organized based on their potential to cause mass explosions. Even a small ignition source will cause the entirety of a Division 1.1 substance to react instantaneously with violent and terrible force. Gunpowder, certain fireworks and rocket fuel are easily recognizable examples of Division 1.1 Explosives. Likewise, trinitrotoluene (better known as “TNT”) is an example that is commonly utilized in a number of industries for its explosive properties. Not all Hazardous Waste Class 1 Explosives are dangerous due solely to their explosive properties. For example, the risk from Division 1.2 Explosives comes from the substance’s tendency to emit dangerous projectiles with its explosive force. Numerous forms of ammunition and grenades are designed to project harmful shrapnel upon explosive impact. Similarly, Division 1.3 Explosives carry the threat of a fire hazard in addition to projection or explosive properties. The flash powder used in pyrotechnics and fireworks is a common example of this type of explosive hazard. The final three divisions, 1.4, 1.5, and 1.6, carry lessened risks compared Division 1.1 explosives, but are still dangerous in their own right. Division 1.4 substances, like those found in signal flares, cause minor explosion that are mostly contained to their own packaging. Other examples include tracers for ammunition, certain types of fireworks and weapon cartridges, and distress signals. These substances only present a small hazard if they are ignited during transport. Even if this occurs, the package they are being transported in largely confines any hazards from the explosion, such as large projectiles. Division 1.5 Explosives have the potential to cause mass explosions (like 1.1 Explosives) but are inert in most conditions. Although the substances have the potential to create a mass explosion hazard, they are so insensitive that the probability of detonation occurring is very little. An example of this blasting agent is an ammonium nitrate-fuel oil mixture that contains only ammonium nitrate in pellet form and fuel oil. However, if large quantities of these substances are transported by ship, there is a greater opportunity for detonation. That’s why the stowage provisions for Division 1.5 substances are the same as Division 1.1 substances. Likewise, Division 1.6 Explosives carry both minimal sensitivity to ignition and will not produce a mass explosion. These detonating substances are extremely insensitive and demonstrate a negligible probability of initiation that is accidental. Class 1 Explosives can cause catastrophic damage to human health, infrastructure and transportation if not properly controlled and regulated. Environmental: Explosive substances can slowly degrade in the environment. This may then cause them to produce dangerous by-products before they decompose completely. How much damage could occur depends on the substance’s composition and how much is released into the environment. Property: Explosions are most often characterized by their heat, light, sound and pressure. 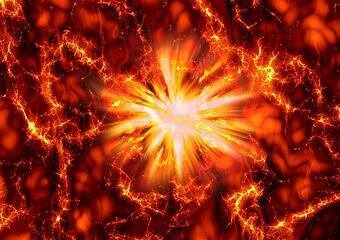 Explosions create a shock wave, which can cause enormous damage to any property nearby. 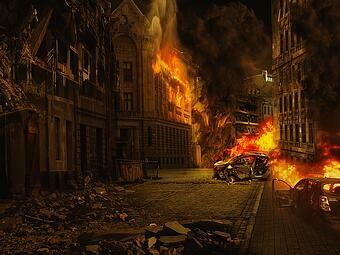 People: Physical dangers are extensive for people when an explosion occurs. Workers and other victims may experience physical and chemical burns from the heat and substances, ruptured lungs and eardrums from shock waves, and traumatic injuries from flying debris and missiles. Emitted gases and fumes can be inhaled, causing internal injuries and long-term health complications. If your business works with Class 1 Explosives, it’s important to make sure they are transported and disposed of properly. Offering comprehensive training programs for employees who are exposed to hazardous substances also is essential to promote the highest safety standards in the workplace. Ensure you are in compliance with all state and federal regulations. Avoid hefty fines, liability from danger and injury to your employees and others. Properly transport and dispose of hazardous wastes and non-hazardous wastes. It’s also important to note that storing different chemicals in nearby areas or in the same area can cause a chemical reaction. This can start a fire, cause an explosion or produce poisonous gasses. Certain explosive substances must be segregated from one another, including during disposal. Working with a hazardous materials services company can ensure disposal occurs safely. If an emergency does occur involving hazardous waste Class 1 Explosives, it’s important to work with a hazardous materials services company that provides a 24-hour hazmat emergency response.